I really enjoy Lucy Smoke. The writing is well done. This is told completely from Harlow’s point of view. Each of the guys are great again, and getting to know more about them and their pasts comes into play here. Just not everything yet, looking at Marv. The introduction of the new characters (hope to hear about some of them in the next book) were great additions to the story and as always I look forward to more in their series. Harlow gets to prove that she is worthy of being an Iris agent even with all the issues that keep coming up. This is a slow burn reverse harem, and the pace fits this story. 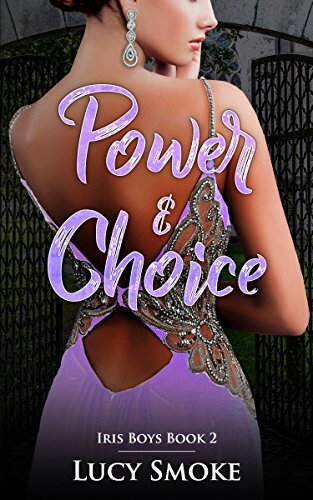 Check out Power and Choice here. Read Book 1 Now or Never here and check out my review here.